Well I’m now in the process of buying my second mr2 based kit car. The deposit has now been paid. My Extreme MR2 murcielago is pretty much finished and is being enjoyed regularly by myself as you have all read in my cerberus thread. 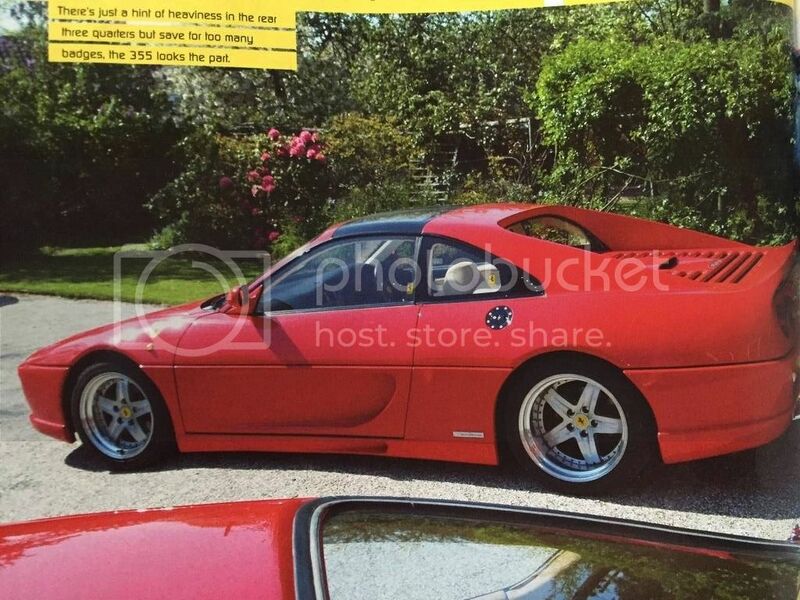 For my second MR2 kitcar I’m buying a Ferrari 355 Kitted MR2 Turbo. According to You guys she’s a Fiero Factory kit originally designed to fit a Pontiac Fiero but was converted to fit our beloved MR2’s. As it’s a J reg I guess she’s a rev 2 but can you confirm this. It’s in lovely condition. I gave it a full once over today and even jacked the car up to lie underneath to make sure there’s no horror stories. She’s got a nice clean MOT and drives lovely. She’s a good one and I’m looking to making my mark on her to bring her up to 100%. Would you like me to post my restoration progress here or shall I bugger off as she’s not a extreme 355? I have now taken delivery of my Fiero Factory MR2 355 kit car and it’s time to start working on her to bring her up to my standard. The cars in a good clean condition but it’s no where near up to my standard of cleanliness so I have decided to start with the interior. To get a cars interior completely clean you really need to gut the interior completely and wash each part separately. During this procss it will give me the opportunity to change a few bits that I don’t like with the interior in its current state. It only takes a afternoon to totally strip the interior ready for washing. The next day I wash every part. Everything from the carpets, headlining, seats, right down to the air vents in the dash. I will now leave everything to dry over the bank holiday. Next week I will start putting it all back again all nice and clean so more then. Time for a update in my 355. I’ve spent a lot of time on the car now making it my own. I’ve replaced quite a few parts slowly bringing it up to spec. The interior is all now back in the car so it’s spotless inside. I took both of my ladies to the Shire Horse September car show and they put on a good show. Obviously with a mate driving the Ferrari. I’ve been concentrating on trying to make the ride better as all 4 shocks are totally nackered. I’ve opted for a coil over kit so that I can adjust the ride height to get it looking like a Ferrari. Even the original springs were lowered they just were not low enough not for a Ferrari 355. So this weekend we’ve been fitting the coil over kit. I don’t know how it will ride yet as I ran out of time this weekend. Whilst it was stripped down it’s a good time to replace that dodgy passenger side front wheel bearing as this was an advisory on the previous mot. I do like the fact that I now own both a lambo and a Ferrari. Yea ok there mr2’s. But who cares. I’m shortly getting number 3 as explained in my Murcie thread. Check out the last photo. This was my driveway this weekend. It’s not everyday you see a lambo and a Ferrari with bits everywhere. My neighbours think I’m potty LOL. At last. I’ve managed to finally take some good photos of me F355. Abit gutted today. Ive now sold me Ferrari. It was driven away this afternoon. To be honest I didn’t plan to keep it very long. I brought it off somebody who isnt very well with the dreaded C and just wanted rid so I took it off his hands. It needed abit of work to get it up to my standard. It needed a good service, new shocks, alternator and a wheel bearing. it also needed a dam good clean inside and out as you all saw. Lovely looking car tho. Inside and out. It was only on flee bay for a couple of days before somebody wanted it for my asking price. So off she went. Bye bye ferrari. Photo of the new owner driving her away. Booooooowhoooooo. . LOL. My 355 was a Fiero Factory. I remember when I got the kit back in 2010 I thought it was amazing, and about a year into the build I started fighting with the owners saying they sold me some crap. 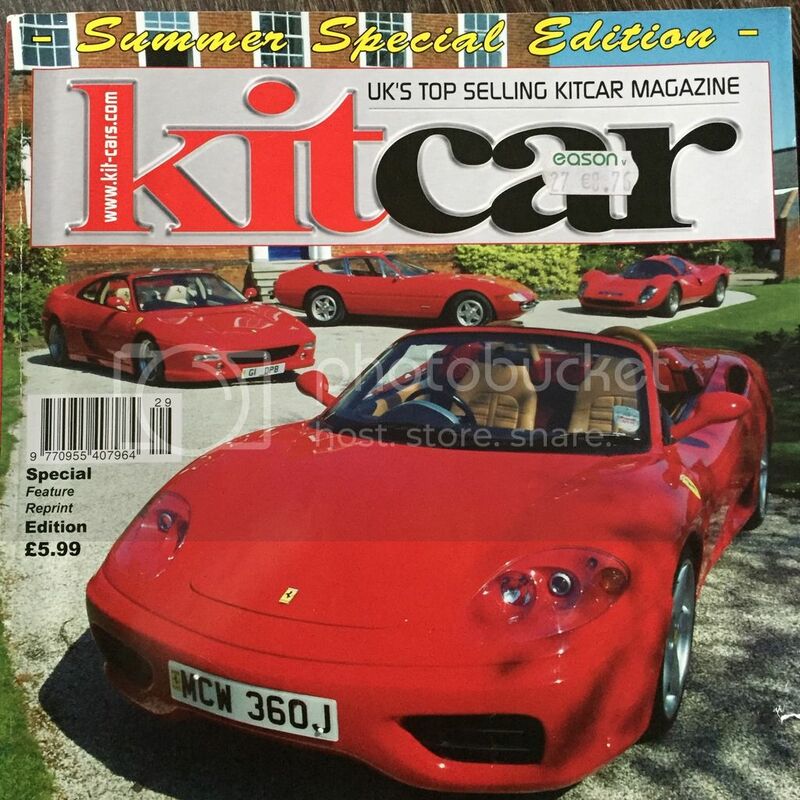 After more experience with kitcars, actually Fiero Factory did a fine job - and unfortunately they are no longer in business but would love to build another one of their kits. How much did you get for it if I may ask?